Beachy, coastal, cottage-style bed; bright and lovely Mexican furniture with exactly the right kind of weathering so as to delight your senses! 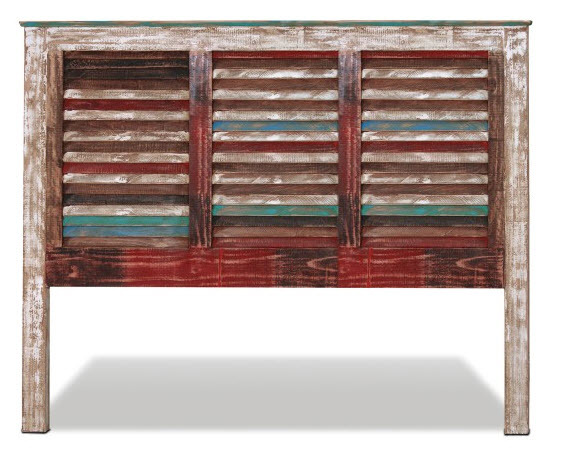 For me, this style of furniture calls forth memories of colorful Caribbean architecture, of brightly painted houses with louvered shutters, memories of exotic bright flowers in vases, soft breezes filtering through curtains, peaceful siestas with echoes of children playing in the distance. And especially if you are torn between a coastal aesthetic and a Zen aesthetic in your Mexican furniture choices, then this beautiful cheerful ensemble is your answer. Evocative of coastal memories and with touches of Zen design, the Cancun Coastal furniture collection will be conducive to ensure peaceful dreams and lasting comfort for you and your Mexican property renters. Bed quoted in Queen size. Includes Head board, foot board and rails. Please note: Requires box springs and mattress (not included.) Dresser mirror not included.